Marek aka Maz Def & Kev Fresh, two West Auckland expat’s found out after many a drinking session and late night jam, that they share a common love of parties and the world of big tunes. Now Wellington’s finest booty bounce masters take time out of their individual residencies to come together for the sake of the ultimate rumpshake... 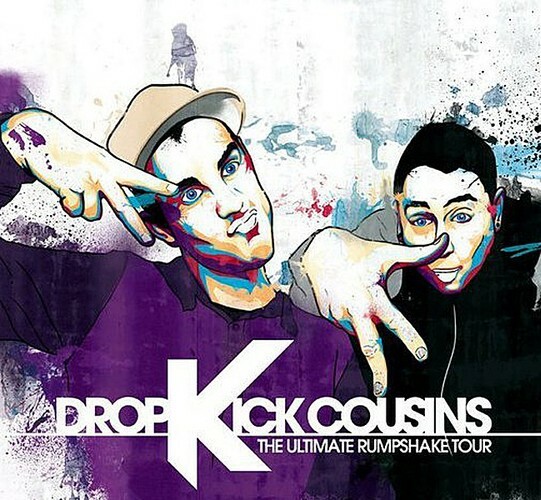 The Dropkick Cousin’s. After a brief hiatus of globe traveling, they're a little older but definitely none the wiser. With these two back in the club together, expect to hear the freshest tropical, uk funky, bass jam, afro, party house and dubstep electro vibes from around the globe!